Founded in 1887, the California State Police was a security police agency which served to protect the State Capitol Building, the Governor and other state agencies located throughout the state. They provided dignitary protection for the Governor and other state officials as directed, as well as investigative service to elected officials. 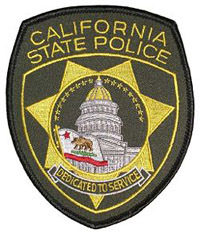 The California State Police was merged with the California Highway Patrol in 1995.